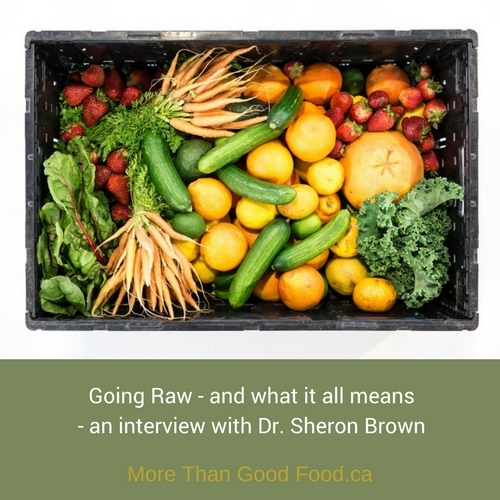 In episode 12 of More Than Good Food I am joined by Dr. Sheron Brown, a yoga instructor and certified health coach. The question we explore together is – what does is the benefit of incorporating raw food into your meals. To help inspire you, Sheron also graciously shared one of her favourite recipes: Jamaican Rice & Peas with Jerk Jackfruit. I’ve observed that eating healthy really isn’t a part of our culture in North America, although in many places it is available. I know for me one of the hardest things for me is getting food on the go when I’m travelling for work. Sometimes there is literally nothing available that is not a baked good or sandwich – it can also be awkward if I’m with a client and putting in special orders at a restaurant or literally pulling apart catered meals and leaving half the plate untouched. It’s even worse having a meal at a friend’s home and I can’t eat the lovely meal they’ve prepared. How many times have you eaten something to be polite, knowing that it will leave you in the bathroom during the night. It may sound ridiculous when you read it in print but so many women speak to this exact issues. Sheron shares her experience and some of the changes she’s made that empower herself to eat what’s best for her body. 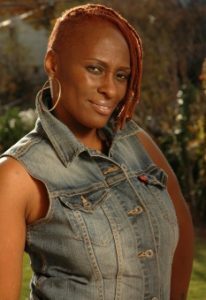 Dr. Sheron Brown is the owner of Sweet Eden by Sheron, a wellness education company, and author of The Wellness-Purpose Connection™: The Ultimate Guide for Maximizing Your Life Experience. Sheron helps people relieve stress and related conditions such as diabetes, hypertension, anxiety, obesity and cardiovascular disease through individual and group coaching, courses and seminars. As a yoga instructor and certified health coach, she also teaches mindfulness practices that help you improve your physical, mental, and emotional well-being so you can live and work with increased joy and purpose. Sheron is on a lifetime mission to help people heal their bodies and minds so they can fully live their purpose with joy and vitality.